Irina Wen (co-founder) is a dancer whose training is primarily rooted in belly dance. She has performed and taught internationally, including Russia, Ukraine, Mexico, and France. Her main study and practice of belly dance has been with Suhaila Salimpour in the Salimpours' Formats, and Irina holds Level 3 Certification in Suhaila Format and Level 1 Certification in Jamila Format. Irina’s research in movement are also informed by her studies of butoh and yoga, the disciplines that facilitate an in-depth exploration of human potential. Deeply curious about human condition and the process of transformation and healing, Irina also holds a Ph.D. in clinical psychology and practices psychotherapy. She teaches regular belly dance classes at Sol Dance Center (www.soldancecenter.com) in Astoria, NY. Erin Bryce Holmes (Associate Artist), MS, graduated from Pratt Institute. She has danced as a member of Kariamu & Company: Traditions, apprenticed with Urban Bush Women, and was a principle dancer with African American Dance Ensemble, Dance Theatre X, worked with Bill T. Jones in developing FELA!, and Ase Dance Theater Collective. She traveled to Gambia, West Africa, to study songs and dances of the culture. Erin has taught African, modern and hip-hop master classes at Pratt Institute, Temple University, Dance New Amsterdam, Carlsbad High School and Central Academy of Technology and Arts. She is currently working as a dance/movement therapist at Kings County Hospital, Brooklyn, NY and as a dance teacher at Mindbuilders Creative Arts Center, Bronx, NY. Bob Lyness (Associate Artist): I’ve studied primarily with Yoshito Ohno and with Diego Pinon, and my first teacher was Joan Laage in 1994. I’ve worked with many people, but I really consider Yoshito Ohno as my main mentor and inspiration. I also try to support butoh as an audience, and I look for it as I travel (a lot) for work. There is no butoh in Washington DC where I live, so I am constantly desperately seeking it wherever I can. 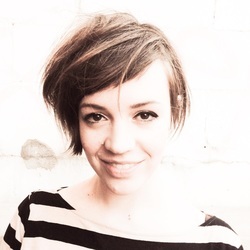 Lauren Marie Robbiani (Associate Artist) hails from Catskill, New York. Always a fan of dance and movement, it wasn't until she was eighteen that she took her first belly dance class, and the rest was history. She studied various other forms of dance throughout college, and traversed the globe to learn from the masters in her niche of a belly dance format. In 2012 she began to study Butoh under Ian Wen, and joined De Novo Dance Theatre. Lauren feels lucky to have been mostly shaped by Mardi Love, Dalia Carella, Irina Kom, and Ian Wen as well as by her dance partners Lauren Jeanette and Mattie Waters. Hiram Pines (Associate Artist) is a monologuist, performer and creator of movement-based theater. Hiram studied visual and performing arts at Brown University, mime with Tony Montanaro and, more recently, butoh in New York and abroad. His recent performances include "Lifecycle" (solo, Green Space), "Not My Problem" (ensemble, Green Space), "Dimple" (ensemble, CAVE, choreographed by Ximena Garnica) and "Angel Falls" (solo, CAVE). These are some of Hiram’s favorite things: theology, punctuation, naps with cats, jumping, making things right, songbirds. Estefanía Vaz Ferreira (Associate Artist) has an eclectic background in dance and the arts. She studied theatre at the Teatro Circular de Montevideo before falling for dance. She started her Latin Dance and Contemporary training as a teenager, and discovered belly dance at age 17 at the Escuela Superior de Danza Oriental Sahar Iasmín. While pursuing studies in literature and translation she trained extensively in modern dance and ballet at the 1º Escuela de Danza Moderna del Uruguay, founded and directed by Mtra. Hebe Rosa. Studying under Tamara Chiz and Florencia de Freitas, her modern dance training was highly infused with Limon and Graham modern dance techniques, as well as Cuban Modern Dance technique. She furthered her ballet training with Alejandro Godoy, former Artistic Director of the Escuela Nacional de Ballet del SODRE. After moving to the US she trained in Lyrical Jazz, Ballet, Modern and Contemporary styles under various renowned artists, and rediscovered her passion for belly dance under the instruction of Kaeshi Chai and Belly Queen upon landing in New York City in 2008. She is a member of the Sol Dance Center professional dance troupe Solettes since 2012 and also of the dance-theater company de novo dance, directed by Ian Wen and Irina Kom. She is one of the belly dance faculty at Sol Dance Center in Astoria where she continues her belly dance training under Irina Kom. As a dancer, she explores dancing both within and outside the boundaries of the dance form, allowing a conscious flow of the different styles that inform her movement. As an artist, she aims to share with others the physical and spiritual joy that dance has brought to her own life. Jayoung Yoon (Associate Artist) is a New York-based artist born in Korea. She is a interdisciplinary artist. She synthesizes hair sculpture, video, photography and performance to create an immersive, sensual and spiritual experience, which encourage viewers to rethink their own personal awareness. Felipe Bastos is a Brazilian Architect, who graduated from studies in Rio de Janeiro in 2008. He has worked as an architect in Rio de Janeiro, São Paulo and Milan, collaborating with recognized design studios. In 2013, he finished his Master’s degree in Interior Design at Politecnico di Milano. The diverse cultural work experiences in Brazil and Europe allow him to explore different ways to find creative solutions for his projects. His portfolio is diverse, ranging from architecture/interior design to graphic design/branding and events planning. Since 2010 he writes the blog 'disegno à milanesa' about lifestyle, interiors, art and travels. He has lived and worked in New York since March 2014. He loves to create things; He loves chips. Since 2008 artistic director at Bornholms Teater, a regional theatre in Denmark. Jens has directed more than 20 plays in Denmark, US and Canada over the past 15 years, and has translated 15 scandinavian plays into english. Jens also works as a dramaturg and playwright, and has been artist in residence in Winnipeg, Canada – Manitoba Association of Playwrights in 2008, 2010 and 2011, working on the development of new playwriting strategies. Baptiste Denient has spent a great deal of time evading rules, limitations and boundaries. Performance art eventually seduced him as the most disciplined and engaging form of indulgence in diverse states of transcendence. Hence he softly allows himself to be trapped here and there in temporary autonomous associations with people who dare to make rules in order to break free from them. The encounters that steered his course include the core members of Paratheatrical Research, turning him on to performance art; Cokaseki, his first classes; Peeping Tom, crunching contemporary dance techniques into concrete tools; and Lines Ballet, mastering flow within constraints. Debbie Despina Cartsos was born in the US and raised in Athens, Greece where she was exposed to belly dance from a young age. She received her first belly dance costume from a belly dancer in Florida when she was 5 and began performing at family gatherings. The appreciation of the music she grew up with at home, as well as her love for Middle Eastern music, dance, and folkloric costuming awakened her passion to study belly dance. In 2005, Despina began studying with Mimi Fontana; In 2012 - with Irina Bellyrina who introduced her to the Suhaila and Jamila Salimpour Formats. In 2015 she obtained her American Tribal Style® Belly Dance Teacher Training and was granted her Sister Studio status from FatChanceBellyDance®. She loves finger cymbals, swords and costuming! You can find her teaching at Sol Dance Center in Astoria. Vincent Katz is the author of twelve books of poetry, including, most recently, Swimming Home (Nightboat Books, 2015). He has composed music for theater productions, including Blind Sight, Yara Arts Group, where he met Ian Wen! Vincent has collaborated with musician Lindsey Horner on an evening-long poetry and jazz performance and has done collaborations with visual artists, including Polly Apfelbaum and Rudy Burckhardt. Katz lives in New York City, where he works as a freelance writer and organizes Readings in Contemporary Poetry series at Dia Art Foundation. He teaches at Yale University’s School of Art. Darius Stone feels very comfortable in his current role (Death/Thanatos). He has worked with many theater companies in New York over the past 20 years including: Target Margin, Lincoln Center Dir. Lab, The Worth St. Theatre, The Public, Here, La Mama, NADA, Inverse, The Ohio/SoHo ThinkTank, New Georges, Salt, Synapse and many others. Regionally with Shakespeare Santa Cruz, The Folger Shakespeare Library, The Source, The Folio, Cafe Voltaire, The American Shakespeare Center. Film & TV include: A Beautiful Mind, HBO's The Real Joke and a bunch of really indie indies. He recently finished the titular role in the independent feature Henry's Basement. Thanks to Ian, Irina and the gang. Eugenia Tzirtzilaki studied Drama, Journalism and Photography in Athens, Greece. She later earned an MFA on Theatre Directing from Brooklyn College, CUNY with scholarships from the Onassis Foundation and P.E.O. International. She attended the Lincoln Center Directors Lab and in 2003 was awarded the Zoel Zwick Award for Outstanding Contribution to Theater. Her work was shown at HERE Arts Center, Jean Cocteau Rep., Old American Can Factory, Medicine Show, Vital Theater and WOW Café among others and in the years 2003-07 she was artistic co-director of the International Company Project. In Athens, she’s shown her work at the National Theater/Experimental Wing, Stoa, Epi Kolono, Dynamo, Neos Kosmos & Pallas Theater, the Benaki Museum, the Foundation of the Hellenic World, CAMP!, Kratiras and the occupied Empros Theater. She’s also worked regionally in Greece and internationally in Cyprus, Poland, and Denmark. She’s a founding member of the interdisciplinary art collective Libby Sacer Foundation. Tzirtzilaki also writes and translates for the theatre, while her lecture-performance “Live Arts and Social Unrest: the Greek crisis case”, has been presented in Greece, Romania, Australia, Hong Kong and the Netherlands. Steven George. I am a man of three continents. My parents come from Asia, I have a little mongolian blood in me. When the Greeks lost the war against Turkey, my father came to the US in 1912, my mother went to Greece. After 15 years, he found her again in Greece and they had four children together. In 1943, to escape the Germans, who burned down their house, they lived in the mountains. We came to the US in 1946. In 1951, I went into the US Army, all three brothers fought in the Korean War. And I have lived happily ever after! My occupation? I made ladies beautiful, with furs. I have three children, I hope everyone has a marriage like mine, I'm very happy, with five grandchildren, and one great grand child. Little did this Brooklynite (Alice Jaworsky) know that when she retired, life would unexpectedly turn another corner. After joining the HANAC Harmony JVL Innovative Senior Center and organizing the library on the premises, taking up photography and like activities, the opportunity to partake in de novo dance productions magically appeared. I found myself in Houseguest in 2013 followed by a character part in Time-Space Capsule, an Off Broadway experience in 2014. In November of that year came The Sleep Lab. June 2015 saw me performing at the HANAC Senior Center in The Sleep Project. ​Life really does begin when you least expect it. The thrill is waiting to see what the future will hold. Luz Selenia Martinez. I grew up in NYC and attended public school and I graduated from City College where I received a Bachelor of Science and a Masters degree in Education. I taught in the city school system, retired in 1999. As a child I studied dancing and with the guidance of my teacher, performed a few times. I also play the piano for my enjoyment. Now that I have time on my hands, I'm enjoying participating in the senior center performance workshop. Elaine Panson is a Native New Yorker. She has a B.A. in psychology from Hunter College. She used to help book talent performances at the notorious Duplex Cabaret in Greenwich Village, where she also was their party planner for special events. Elaine has always enjoyed watching the Arts; but now that she is retired, she would like to be a part of the Arts by beginning to perform. Maria Pedemonte. I was born Maria Z. Hosking, in the Dominican Republic in 1951. My parents were Elmo Hosking and Candelaria Liriano, both now passed. My parent's gave me a very good education, I was in a Catholic School from elementary, to middle school, graduated from high school in 1968, but In April 24, 1965 we have the war in my country and everything was paralyzed. In 1969 finally I went to college, the University Pedro Henriquez Urena, to study International Service but did not finish. In 1971,I married and moved to Puerto Rico. With that relationship I have 2 children Elizabeth and Joseph, got divorced 1975, and moved to New York in 1977. In 1978 I was graduated with Accounting Bank, my first job was with Swing Line staple Co. At the same time I went to La Guardia CC to study English as a second language, in 1979 I went to Spanish American Institute and graduated in Bilingual Secretary. After I had my third child, born at the end of December 1979, his name Dannon. In 1980 I bought my home, you know, the American Dream and my son's father passed away. In 1994 I got a job in Saint Paul Catholic School in East Harlem as a Secretary Tuition Administration for five years, and there met my husband, Jesus Pedemonte. Marriage for almost 30th years. I retired at 62, and came to HANAC Harmony Center in 2014, which is my second home, as a volunteer. I'm now on the Advisory Council Committee as both treasurer and secretary. I feel so proud to think that I am coming to this world to help people. I am a mother of three children, nine grandchildren, and one great-granddaughter. She is raising her granddaughter.